GRAND RAPIDS, Mich. — Meijer recently announced that it will expand home delivery throughout Ohio with Shipt, an online grocery marketplace. The service launches in Cincinnati and Dayton on April 27; Columbus on May 4; and Toledo later this summer. Using the Shipt app or website, members will be able to access more than 55,000 items available at Meijer stores, note any preferences, choose a one-hour delivery window and pay for their order. Because most Meijer stores are open 24 hours, Shipt deliveries from those stores will be available around the clock, seven days a week, with the exception of certain holidays. Since the launch in southeast Michigan last fall, the program has made nearly 90,000 deliveries in Michigan. 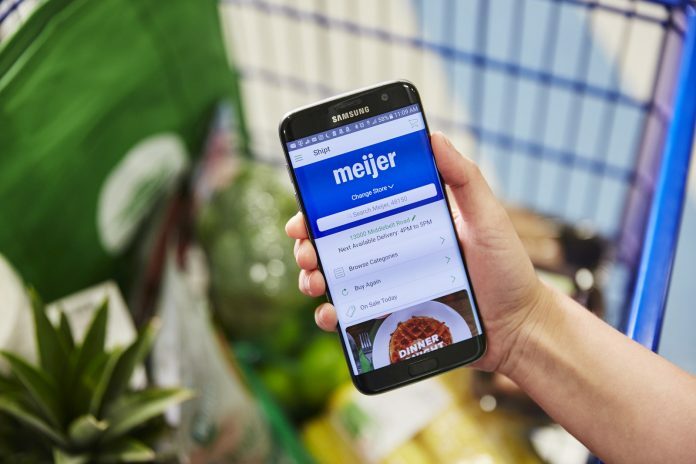 Meijer plans to make home delivery available to as many customers as possible across its six-state footprint which includes Michigan, Ohio, Illinois, Indiana, Kentucky and Wisconsin. For more information, visit Shipt.com.